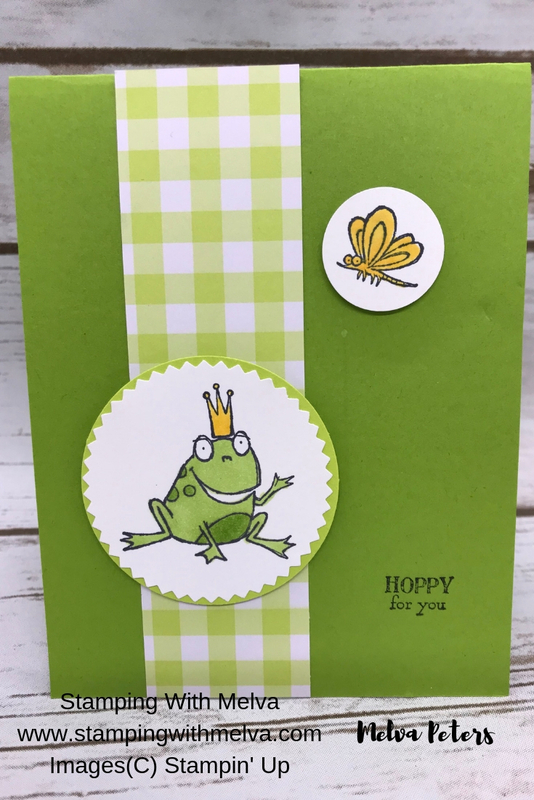 So Hoppy Together is the cutest stampset in the Sale-a-Bration Brochure! 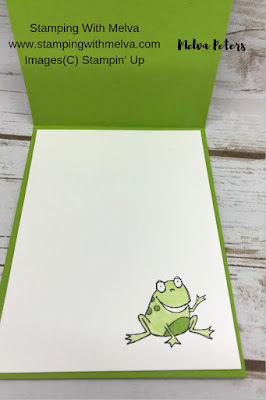 The frogs just make me smile every time I see them on a card. 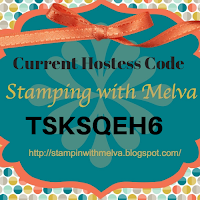 Check out this quick and easy card I made using the stamp set. Score Granny Apple Green Cardstock (4 1/4" x 11") in half to make card base. 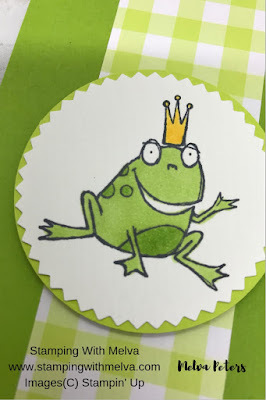 Stamp frog image and bug image using Tuxedo Black Memento Ink on a scrap of Whisper White cardstock. Punch out bug using 1" circle punch. Adhere the frog image to the Granny Apple Green circle. Cut a piece of Gingham Gala Designer Series Paper (1 1/2" x 5 1/2"). Adhere to card front. Stamp frog image on Whisper White Cardstock (4" x 5 1/4") for inside of the card. Colour frog using light and dark Granny Apple Green Stampin' Blends. Adhere to the inside of the card.